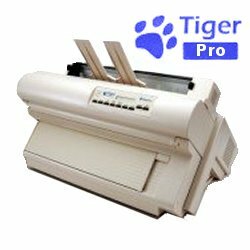 The fastest and most versatile Tiger� Braille Printer ever! The ViewPlus Pro is your marathon braille production machine able to handle large volume runs of braille and tactile graphics, printing all sizes and types of paper/media. The Tiger� Software Suite is bundled with the ViewPlus Pro Braille Embosser. * Paper Size Width 4" to 17"